In its high quality, 16-pass mode at 65 square feet (6 square meters) per hour. We are willing to test other flexible substrates! Packaging samples for corrugated, folding carton, foam and other packaging needs are produced easily with automatic cutting and creasing on materials such as paperboard, chipboard, micro-flute, corrugated, honeycomb and more. 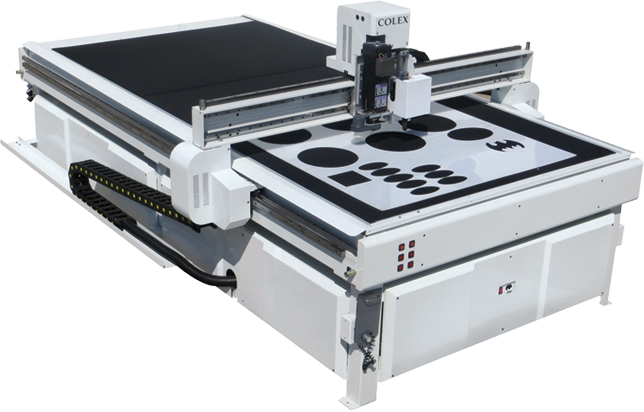 Cut textiles, fabrics and other fibrous materials with the motorized fabric cutter. 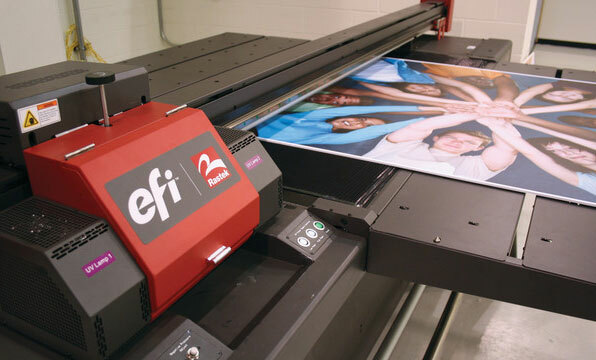 Our customers have been asking us for a more affordable way to produce wide format applications, and we now have the capability to fulfill that request. From banners to both indoor and outdoor signage and many applications in between, we can deliver the RIGHT WIDE FORMAT IMPRESSION!